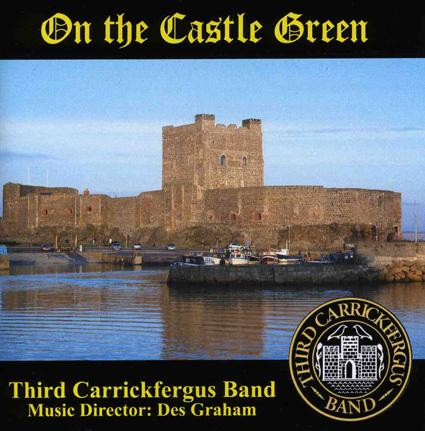 It is with great pleasure that The Third Carrickfergus Band announce the launch of their debut CD recording entitled "On the Castle Green"
The CD features 18 tracks from various genres of music including jazz and blues, religious, swing, classical and the world's first recording of the CDs title track, the new signature march which was commissioned in celebration of it's Golden Jubilee celebrations and was composed by the extremely talented Paul Lovatt-Cooper. The CD is priced at £10.00 plus £1.50 postage and packing and can be purchased using our secure on-line shop. Payments can be made using most major credit cards, switch cards or your PayPal account.